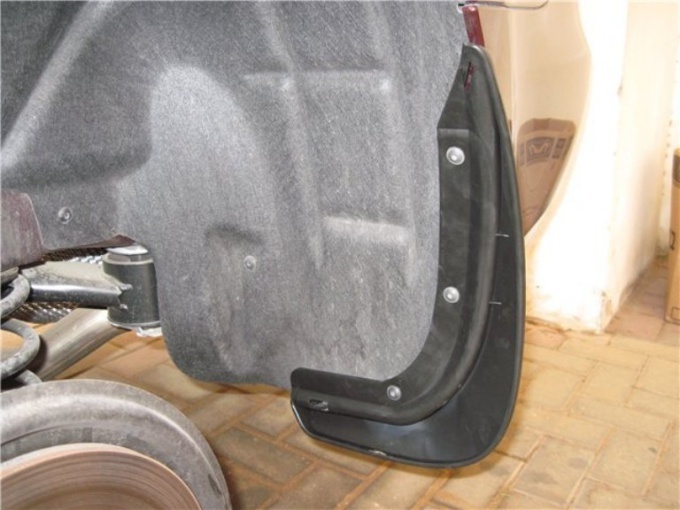 The mudguard is a flexible plate which is made of durable rubber or flexible plastic. They can operate at temperatures from -50 to +50. Mudguards can be homemade or store-bought, or universal. Their main goal is to delay departing from under the wheels of stones, sand, and mud to protect the car from minor nicks and scratches. Install them on every car model is various, but essentially it's a universal approach. 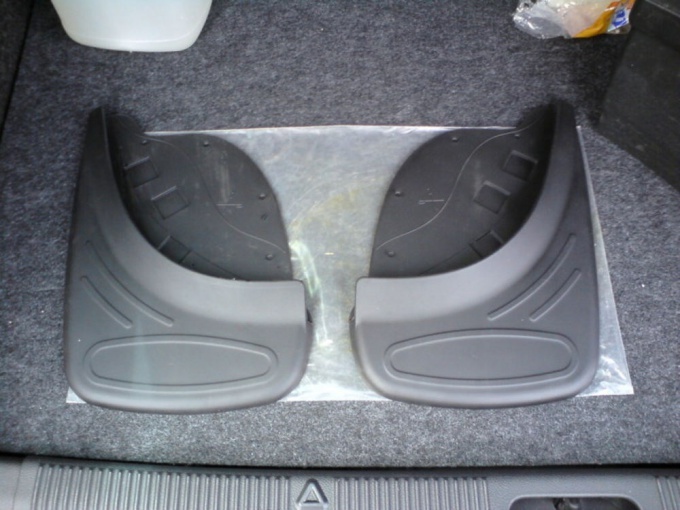 Buy shop mud flaps for your model of car or universal. Stock up on the necessary tools: drill, drill bit, wrench 10", a screwdriver, a ruler and a pencil or any other writing tool. 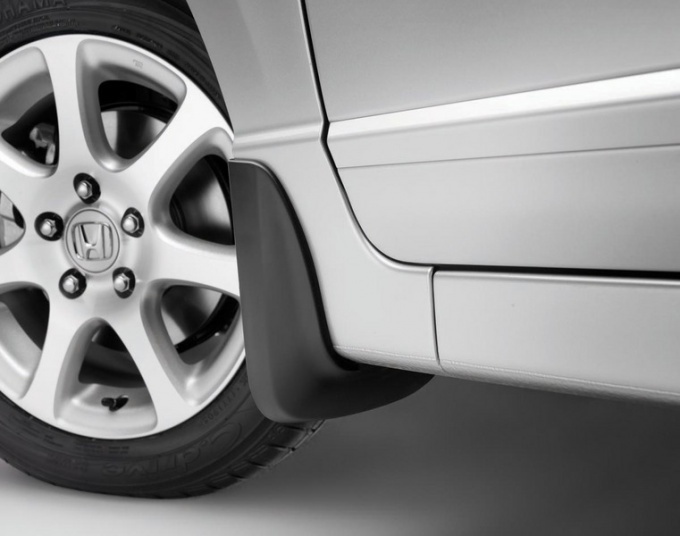 To mount the front fenders make the wheels turn at a comfortable angle, or even remove them. Remove the screws (usually three wheel side and one or two from the bottom) or remove the caps, which are attached to the fender liner. Wipe with a rag that you soak in alcohol, where will be installed the splash guard for degreasing and removing dirt from the surface. Attach the splash shield to its mounting location and with a pencil mark the holes. Then according to the marks using a drill make the holes, and screw the splash guard with screws or insert caps. To install the rear mud flaps again, turn the wheel and remove the caps, repeating the same steps as with the front. But here before the installation, remove the removable plate. Their place will be mounting brackets that must be supplied. Protruding parts of the rubber on the top and side edges carefully cut if you want. This will allow the splash guard to repeat the contour of the inner fender, and under the "surplus" will not gather snow, salt, sand and water. Install the wheels into place and to drive on the sand. From the new splash guard will be complete silence, and, consequently, the purity.